Bump, an Android/iOS app, has been around for a while, meant to transfer contacts, files, and other data between phones, with a single bump. 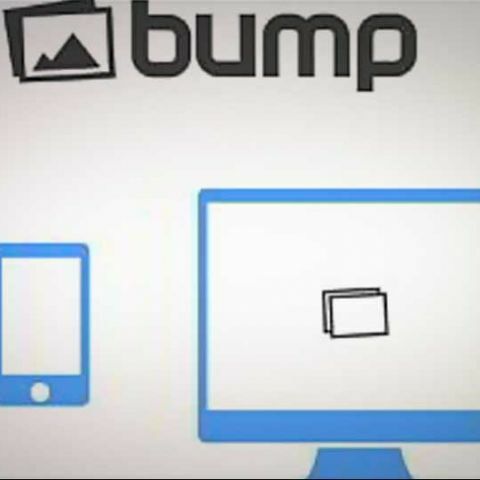 Now, the app’s developers, Bump Technologies, have released Bump for PC, which allow Android and iOS smartphone users to transfer images onto their desktop or laptop, once again with a single bump. Users of the new Bump iOS app or Android app will have to install it on their smartphone, vist bu.mp on their PC’s browser, and agree to allow location detection. They can then select images and videos on their phone, and then, bump their phone onto the spacebar. The Bump app will then prompt users, asking them if they are trying to send photos – after they click yes, images will pop up on the browser, and then can be dragged onto the desktop. You can check out the video demonstrations of how the app works, below. Quite simply, the app users both the phone’s and PC’s geolocation features to ensure that the two correct devices are sharing data, then transfers images over the cloud. Therefore, an internet connection is required. Since nothing needs to be installed on the PC, a Mac, or Linux machine can also be used. The Bump for PC app is available for free, on the Apple App Store and Google Play store.